SHARMINI PERIES: It’s the Real News Network. I’m Sharmini Peries coming to you from Baltimore. Winnie Madikizela-Mandela was a rebel both inside the African National Congress and against the apartheid in South Africa. Her fight and determination against the apartheid in the face of brutal political repression endeared her to her nation. WINNIE MANDELA: I shall never lose hope, and my people shall never lose hope. In fact, we expect that the work will go on. SHARMINI PERIES: She died on April 2nd at the age of 81. She was a member of parliament for the ANC until she took her last breath. But like many people that rose to fame during the struggle against apartheid she, too, is not without controversy. The South African parliament announced a 10-day mourning followed by a state funeral for the beloved woman who fought side by side with her husband Nelson Mandela to end the apartheid in South Africa. She was fondly known as Winnie, the mother that gave birth to the nation. Joining me today to celebrate her life and rebellion is someone that knew her from the early years of the ANC, Ronnie Kasrils. He’s a member of the ANC and was on the Central Committee of the South African Communist Party. He first served as chief of intelligence for the ANC during the days of the apartheid and then served as minister of intelligence of the South African state under Thabo Mbeki he is the author of many books, among them “Armed and Dangerous: My Undercover Struggle Against the Apartheid,” and he is also the author of “The Unlikely Secret Agent.” Ronnie, thank you so much for joining us today from Johannesburg on this very solemn occasion. My condolences to you. RONNIE KASRILS: Thank you very much indeed. SHARMINI PERIES: Ronnie, let’s begin with your first impressions of this brilliant woman that you met in the early days of the ANC, fighting to end the apartheid. Tell us about the love affair that the South African nation, South African struggle, had with Winnie Mandela. I had the opportunity of meeting her way back in the early 1960s very briefly, and she was absolutely so incredibly beautiful, an independent young social worker in her own right, and political activist and militant in her own right, not simply the stuffs of Nelson Mandela. That’s the first thing that we need to understand against a person who I’ve referred to as a rebel within the rebellion. And I’m talking about the great revolution to overthrow apartheid. She was larger than life. She had an amazing persona. She had incredible compassion for the poor, for the marginalised, people of all colors, actually. She was a outstanding internationalist and took inspiration from the African-American struggle, the civil rights movement. And we know how important today’s anniversary is, in relation to Martin Luther King Jr.’s assassination. That fired her, that civil rights movement. Angela Davis, a little younger than Winnie, fired her as well, as did a pantheon of women rebels around the world, from those like Constance Markievicz of the Easter Uprising in Ireland, or Dolores Ibarruri, La Pasionara of Spain, Leila Khaled of Palestine, and the Bandit Queen, Phoolan Devi, of India. These people appealed to her, and she had that aspect of unconventionality that is a rebel born. And that spirit, that fire, and definitely that incredible warmth and compassion, that passion for freedom and dignity for women, for the marginalized, for the Africans of all continents, and humanity. She inspired generations of people from that early period when she became involved. And she was thrust into this when her husband Nelson went underground in 1962 to lead the struggle, and was then a key person at his trial in 1963, with the Rivonia trial , although he had already been captured and sentenced previously to five years, and then with the Rivonia arrestees in 1964 to life. But she was there again, not as the spouse, the grieving spouse, but as an absolutely shining symbol of the country, of the nation, as you have mentioned mother of the nation. She really motivated and aroused the downtrodden of the country, and of Africa and the world. And she paid dearly for this. She was a young mother. She was many years, 16 years younger than Nelson Mandela. She was in her mid-20s. She had two children when he went off to prison. And she had to look after them, and she had to deal with a brutal regime that sought to break her spirit, because they saw at that Rivonia trial that she was such a shining symbol of struggle, and they wanted to prevent her from flowering further. So they detained her in 1969. They discovered that with the ANC virtually crushed inside the country, I with the others, we were basically in exile in our military camps in organizing solidarity worldwide. She was in Soweto. Most of the people she had known and worked with were either in jail or exiled, or had been executed or tortured to death. And she had striven in ’68 and ’69 to develop an ANC underground. This was smashed. She was put in isolation for 18 months. She was virtually stripped bare, to her underclothing. She was tortured. They brutalized her, they were determined to break her spirit. And they failed. They couldn’t do this. The trial collapsed. She again became a symbol in Soweto and in the country. And in ’76 with the student rebellion and uprising they all looked to Mama Winnie for leadership and guidance. This ended at that particular period when this brutal regime banished her to a rural outpost, an Afrikaner village. She was totally cut off from the people and she was watched by these, these racists. She had a, an awful dwelling of a house. She managed to develop a garden around it. And she was isolated for eight years. And it took its toll. But she actually, by the mid ’80s with Soweto was aflame, she, she decamped from that banishment and returned to Soweto to help lead the mass struggle and the protest movement. And they were too scared at that stage to touch her. So they left her, although she had broken the law, broken this banishment that had kept her hundreds of miles away. But they, they strove throughout that period and beyond to vilify her and to spread mischief about her. And with this rebellious spirit, she was a difficult person to pin down. She also didn’t exactly toe the line the ANC was giving from exile, from from Lusaka. And I was there, we didn’t quite know the problems and the issues on the ground. And there was certain criticism from within the country and from without about this being something of a maverick because she was responding to the people’s needs and she was not afraid to be outspoken. And we saw this much later when she was even outspoken about, about Nelson Mandela and the role that the ANC had taken post the liberation in 1994. But I wanted to dwell somewhat, and you’d asked me to, about the, the actual struggle period. And I want to say this. She suffered a times more than Madiba, Mandela, and Walter Sisulu and others on Robben Island. They, they had brutal periods that they had put up with, but they were a collective. These were steeled revolutionaries who could hold each other up. Wnnie, for that period of 20 years or so, was absolutely isolated, with her peers, as I mentioned, all banished, abandoned, in prison, or abroad. And she had to try and work things up virtually for herself. There was a mass movement that emerged and she was part of that. And actually, she became the icon of the internal struggle and was known that way throughout the world. So she helped inspire the anti-apartheid international movement, and she helped to inspire people within South Africa , and she became loved by all throughout the globe and in South Africa. 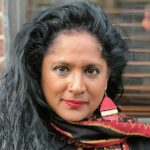 SHARMINI PERIES: Ronnie, speaking of the globe, as we leaf through the pages of international press coverage of her death, much of it, they speak about the controversies she’s sparked. Now, Winnie Mandela has always said, I’m a product of the masses but I am also a product of my enemies. What did she mean by this? RONNIE KASRILS: Well, she knew how she had been brutalized by those enemies, how she’d been hurt deeply. How she had grown to hate. In times, also, to reconcile, because this was a compassionate human being who never kept that hatred alive in her breast. But she was molded to be tough and strong and unrelenting because of that repression, and what she suffered, as I have referred to. But a product of the people and of the struggle. And that meant that she found her courage, she found her voice, she found her indomitable spirit through her people. And the compassion that flowed towards those people was nothing any of the leaders, and I’m proud of and respect all of them, could come near. And it Winnie, we’re looking now through the ’90s, the ban on the ANC had been lifted, Mandela and others released from prison. We were reforming inside the country. And we faced incredible murderous attacks. And these attacks were directed primarily at the African people, the black people in the townships and the rural areas, the marginalised people, to try and foment problems for the ANC. When those houses and huts were burning and people were bleeding in the streets, it was Winnie Mandela who was always first at their side. She would rush to these places where others feared to tread and she would talk, as she had in the ’80s by the way, she will talk real truth to the power, to the repressor. And she didn’t pull punches, which is way people feel and felt that she was going off the rails with some of the things she was saying, which needed to be said, about reacting with violence at that stage. People’s revolutionary violence against the repression, and the increasing violence of the state. They were people from the churches, some from within the ANC. Certainly the Western media, and the repressive apparatus in South Africa, they wanted to besmirch her in that and smear her. But she was talking from the guts of the fire and the blood that was taking place, and took place even post-’90-’94. And this is where you get these attacks on her. There were certain aggressive behavior that took place at the hands of what was called the Mandela Football Club, which was a group of young people of the townships of the ’80s that she had helped form and lead, but became something of a law unto themselves. And everything was blamed on Winnie. What we need to remind people globally, and we need to remind them in the country now when there are a lot of mealy-mouthed statements being made about people remembering the wonderful side, is that, in fact, she stood up to all of this. And when there were actions taken which weren’t very nice, and that’s in the, the gut of revolutionary upheaval, she’s blamed. And nothing to this day, and I’m not talking in terms of shelving the blame, I’m not that kind of person that one doesn’t have to. But nothing has been proven. Although there were a couple of court cases in which she was tried by the media, and by rather reactionary judges that can actually be placed at her doorstep as her giving the command. Nothing that can pay ever emerged to this day. So as far as those who were inspired by Winnie Mandela and see her as having been absolutely fundamental to the mobilization and the rising, the rebellion, the revolutionary spirit, people do not see her sullied in any way. We understand her as a product of the struggle. And in struggle sometimes not very nice things take place. N ot everything is a picnic. But this woman had compassion. She did not like to see people in pain at all. And this was Winnie Mandela to her dying day, that compassionate, warm, lovely human being. I’d like to just add this, that a lot of people within our movement who had the half-and-half attitude to Winnie. Now that she’s dead, you could say great things about a person after they’ve died, we all know that. And who don’t like to touch on the tougher side of the story, and sometimes the errors that she made. She will outlive all the leaders, I would say, Mandela, Oliver Tambo, Chris Hani, she’s up there with them. She will, she will outlive in her glory and marvel many of the presidents that we’ve had since since independence, in fact, since 1994. And the mythology, and an important mythology, is going to grow around her because he’s a great inspiration to the emerging generation of the young people who are impatient, who don’t want to see this inequality and this gulf of wealth on the one hand, and dreadful poverty and inequality on the other in our country or the world. These people are energized behind Winnie Mandela, and that’s her abiding legacy. SHARMINI PERIES: Ronnie, Graca Machel of Mozambique, who became Nelson Mandela’s second wife, she wrote a very loving obituary, an open letter to Winnie Mandela, calling her a big sister. She wrote, “I take solace in the fact that you have risen to become one of the brightest stars in the sky, where you will remain ever present and radiantly shining. You will continue to serve as a guide to our loving family, your grateful nation, our beloved Africa, and indeed, the world.” Now, Ronnie, it was such a gracious tribute to Winnie. What was the relationship between these two women that sandwiched Nelson Mandela’s life? And then what was their relationship to the movement that still draws so many young people to this period in history? RONNIE KASRILS: Yes, let me first say, thanks for reading out those beautiful words from Graca Machel, the wife of Nelson Mandela to his death, and had been the wife of Samora Machel up to his death in that terrible plane crash in Mozambique. Graca Machel is an outstanding human being, and those words are the most tremendously wonderful epithet to Winnie Mandela. They are gracious and they are generous and they are pure and straight. So, life was not easy for Mandela and Winnie. I have referred to that period of pain that she went through in isolation, detention, torture, and then in the banishment when she came to to hate the enemy. And in a sense as a woman, any woman will know this, is left behind even for the noblest of causes which she supported, and you left literally holding the baby, you’ve got these two girls in isolation. You’re bereft. There’s going to be a certain animosity that does build up. And that’s tension I saw in relation to the Mandela life with her when he was freed. And I’m saying this so that people should understand what was a very complex relationship that took place. Everybody was rather disappointed. You know, this Hollywood ending to the man coming out of prison after 27 years and reuniting with the loving wife, that they lived happily ever after. I want people to understand what she’d gone through, and how this clearly must have affected her psyche and her attitude, and a need to also be a a human being and in her own right, an unconventional beauty, a real rebel at heart. And this didn’t make it easy for this nonconformist in terms of a man who, apart from his own rebellion against the white system, was actually very sort of straight forward in terms of relationships, almost conservative. I don’t mean in a bad sense, but conventional rather. So one needs to understand the rub there. And I think in the outcome of that this is where Winnie makes enemies within the movement and within broader society, and even amongst women. But there’s a core of women who she came to lead, and she became the leader of, the president of the African National Congress Women’s League, and led them in great militancy in that period, and with the demands for real recognition and gender equality. This lives on, and lives today and tomorrow in terms of the way generations of women, I’ll come to the youth. But I want to say that Winnie’s appeal was intergenerational, across generational lines. The way she rallied to the support of the people throughout the worst of the periods. And this is why older men and women of all ages saw in her a rock and an inspiration. And then the younger generation from ’76. But let me cut through to this generation today. The young African generation, the young kids in their teens, in their early 20s, young women especially but not only, because we see Julius Malema and the Economic Freedom Fighters, they idolize her, they regard her as a spiritual leader , and will continue to do so. But it’s so thrilling to see this blossoming of young African women who are filled with such strength from the oxygen and the fire that Winnie Mandela has given them. So we’ve got a new generation emerging which we’ll see following in the footsteps of Winnie Mandela, and the incredible impact. And [Samora] Machel, who’s a woman who’s approaching 70, is an older woman, a mature woman who can look at Winnie and up to Winnie as her great sister and links Winnie and her generation to this younger generation. Because Graca is also a person of incredible energy and vigor, in the mold of Winnie Mandela, in the mold of Angela Davis, Leila Khaled. All these brilliant, revolutionary, rebellious women down the ages. And Winnie is there for them all. But it cuts through gender, Sharmini. My life has been imbued with the spirit of Winnie, even at my old age. I’m just two years younger than her. But I can speak for, for men. I can speak for old and younger men. I hope I can for the young men. But I certainly feel that I’m able to express the way people of this country are feeling. And internationally as well, because I have lovely contacts like yourself and others throughout the world. And we all mourn her passing, that our lasting way of showing this is to keep that flame bright and shining, and follow in her footsteps. Americans in particular, who face many of the problems that we faced and still face in South Africa. SHARMINI PERIES: Ronnie, when I think of Winnie Mandela I think of a rebellious woman in the trenches, a South African diamond in the rough. 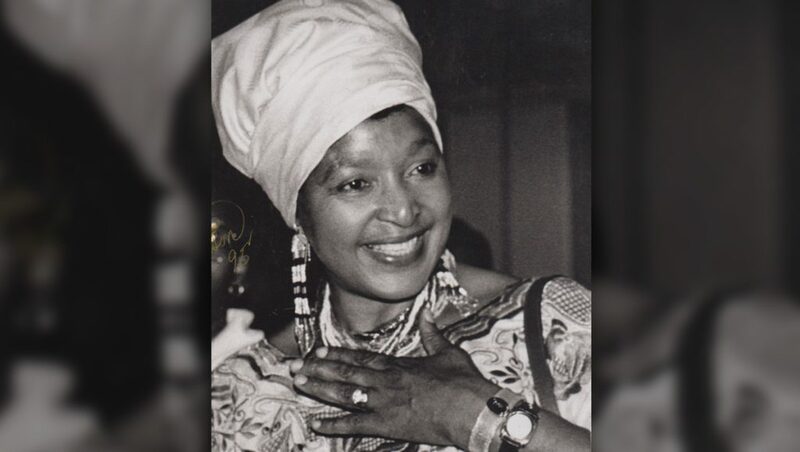 While many went off to study in Ivy League schools and returned in suits to run the South African nation, Winnie Mandela, given those same opportunities, turned them down and stayed in the militant struggle rooted in South Africa to end the apartheid, as well as afterwards to make sure that the South African state stayed true to its mission, its promised revolutionary aspirations. RONNIE KASRILS: I love your analogy. And you see that rough diamond, it’s found with the raw earth clinging to it, in the way that Winnie Mandela clung to the people and is of the people and within the people’s hearts. The polished diamond, Sharmini, that’s worn on the fingertips of the 1 percent, and those who follow their convention and their way of life. We are with the Winnie Mandelas of this world, and there are many that are coming to the fore to make this a better world. SHARMINI PERIES: Ronnie, may the rebellious spirit of Winnie Mandela rise and shower the world. I think of you and I think of the world that was fortunate to have been a part of her life. Thank you for joining us, Ronnie. RONNIE KASRILS: Thank you very much.